Today I am attending the wake of a woman who changed my life. Her name is Margaret Michel, known to most as Marge. 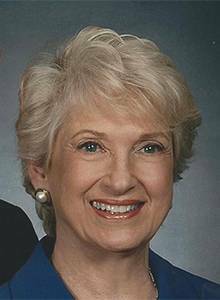 She and her husband, Jake, (who passed away in 2012), both passionate educators, were the founders of The Education Center. Together they shared a devotion to the learning of children. They believed that if education is interesting, children will learn. It was Marge, as editor in chief, who took a chance on me. I was a young gal with teaching experience and a cat—probably not the best qualifications to be welcomed into a publishing company! But Marge saw something else in me. She saw passion, enthusiasm, and a desire to learn. All of us in The Mailbox family are saddened by the loss of Marge, who was taken by a sudden illness in simply too few months. Marge will be missed throughout the community for her numerous contributions. She was a lady on the go! I will miss Marge for all that and much more. Thank you, Marge. I have a feeling you and Jake are already orchestrating great things in the heavens above. PS: Marge was my life changer. Who is yours? I am sorry for your loss Diane. My life changer was my second grade teacher Mrs. Regetz. She taught me a love of reading that I still have today and made me want to be a teacher. Thanks for the beautiful memoire, Diane. Marge was a beautiful life changer. Thinking of you and all the folks at TEC. Diane, I am sorry for your loss! You could honor Marge by having a contest for kids or teachers called WHO WAS YOUR LIFE CHANGER? My life changer was Miss Lord. She never married or had children of her own, but she treated us like her own. She taught us about poetry, songs, dramatics, plays, respect, responsibility, manners. She was called the Auditorium Teacher. She gave us lots of LOVE. She inspired me to become a teacher! Waletta Carlson is my life-changer. She encouraged and challenged and pushed me to do what I didn’t think I could do. She taught me how to be a giver and not just a taker.